David Mott has served as our Chairman since January 2017 and as a Non-Executive Director since February 2015. He formerly served as a Non-Executive Director of Adaptimmune Limited since September 2014, initially in a capacity as a nominee of New Enterprise Associates 14 LP (NEA), one of our shareholders. Mr. Mott has served as a General Partner of NEA, an investment firm focused on venture capital and growth equity investments, since 2008, and leads its healthcare investing practice. He was formerly President and Chief Executive Officer of MedImmune LLC, a subsidiary of AstraZeneca Plc, and Executive Vice President of AstraZeneca Plc. 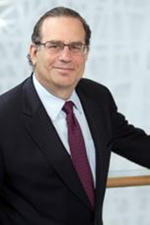 From 1992 to 2008, Mr. Mott worked at MedImmune and served in roles including Chief Operating Officer, Chief Financial Officer, President and Chief Executive Officer. Prior to joining MedImmune, Mr. Mott was a Vice President in the Health Care Investment Banking Group at Smith Barney, Harris Upham & Co., Inc.
Mr. Mott is currently Chairman of Ardelyx (NASDAQ: ARDX), Epizyme (NASDAQ: EPZM), Mersana Therapeutics (NASDAQ: MRSN) and TESARO (NASDAQ: TSRO), and is a director of Nightstar Therapeutics (NASDAQ: NITE). He is also a director of several other private companies and has previously served on numerous public and private company boards. Mr. Mott received a bachelor of arts degree from Dartmouth College. 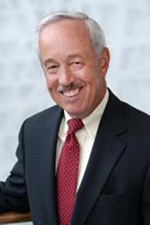 Lawrence (Larry) Alleva has served as a Non‑Executive Director since March 2015. Mr. Alleva is a former partner with PricewaterhouseCoopers LLP (PwC), where he worked for 39 years from 1971 until his retirement in June 2010, including 28 years' service as a partner. Mr. Alleva worked with numerous pharmaceutical and biotechnology companies as clients and, additionally, served PwC in a variety of office, regional and national practice leadership roles, most recently as the U.S. Ethics and Compliance Leader for the firm's Assurance Practice from 2006 until 2010. Mr. Alleva currently serves as a director for public companies TESARO, Inc. (NASDAQ: TSRO), Bright Horizons Family Solutions, Inc. (NYSE: BFAM) and Mersana Therapeutics, Inc. (NASDAQ: MRSN) and chairs the audit committee for those companies. He previously served as a director of Mirna Therapeutics, Inc. (NYSE: MIRN) and of GlobalLogic, Inc. through the sale of the company in 2013 and chaired the audit committee for those companies. Mr. Alleva is a Certified Public Accountant (inactive). He received a B.S. degree in Accounting from Ithaca College and attended Columbia University's Executive M.B.A. non-degree program. Dr. Ali Behbahani has served as a Non-Executive Director since February 2015 and formerly served as a Non-Executive Director of Adaptimmune Limited since September 2014, initially in a capacity as a nominee of New Enterprise Associates 14 LP, (NEA), one of our shareholders. Dr. Behbahani has been a Partner on the healthcare team at NEA since 2013, having worked for the fund since 2007, specializing in investments in the biopharmaceutical, medical device, specialty pharmaceutical and healthcare services sectors. He is currently a board member of public companies Nevro Corp (NYSE: NVRO), Genocea (NASDAQ: GNCA) and CRISPR Therapeutics AG (NASDAQ: CRSP) and also serves as a director for several private companies, including Oyster Point Pharma, Inc., Minerva Surgical, Inc. and Nkarta, Inc. He has previously worked as a consultant in business development at The Medicines Company and held positions as a Venture Associate at Morgan Stanley Venture Partners from 2000 to 2002 and as a Healthcare Investment Banking Analyst at Lehman Brothers from 1998 to 2000. Dr. Behbahani conducted basic science research in the fields of viral fusion inhibition and structural proteomics at the National Institutes of Health and at Duke University. He holds an M.D. degree from The University of Pennsylvania School of Medicine and an M.B.A. from The University of Pennsylvania Wharton School. Barbara Duncan has served as a Non-Executive Director since June 2016. She has over 15 years of experience in the life sciences industry and served as Chief Financial Officer and Treasurer at Intercept Pharmaceuticals, Inc. (Nasdaq: ICPT) from May 2009 through June 2016, and as Chief Financial Officer and then Chief Executive Officer at DOV Pharmaceuticals, Inc. from 2001 to 2009. Prior to joining DOV, Ms. Duncan served as Vice President of Corporate Finance - Global Healthcare at Lehman Brothers Inc. from 1998 to 2001, and as Director of Corporate Finance at SBC Warburg Dillon Read Inc. from 1994 to 1998. She also worked for PepsiCo, Inc. from 1989 to 1992 in its international audit division, and was a certified public accountant in the audit division of Deloitte & Touche LLP from 1986 to 1989. Ms. Duncan currently serves as a director for Aevi Genomic Medicine (NASDAQ: GNMX), Jounce Therapeutics, Inc. (NASDAQ: JNCE), ObsEva SA (NASDAQ: OBSV) and Ovid Therapeutics, Inc. (NASDAQ: OVID). She holds an M.B.A. from the Wharton School of the University of Pennsylvania and a Bachelor of Business Administration from Louisiana State University. John Furey has served as a Non-Executive Director since July 2018. Mr. Furey is Chief Operating Officer at Spark Therapeutics, Inc, where he is responsible for global commercial operations, medical affairs, technology development and technical operations. He has substantial experience of developing and implementing operational strategies and leading commercial and technical teams. Prior to joining Spark Therapeutics, Mr. Furey was senior vice president and head of global operations for Baxalta, where he directed manufacturing, quality, engineering, and process development. He actively managed a $2.5 billion production budget across Baxalta’s global network and led a first-in-class supply chain organization for rare diseases. Mr. Furey led the team that coordinated and delivered the successful establishment of Baxalta through a spin out from Baxter and led the Baxter Vaccine inline business to realize significant top line and bottom line growth. He also spent two years in China as general manager of Pfizer’s vaccine business unit following a role with responsibility for global pricing and reimbursement at Pfizer Vaccines. In these roles, Mr. Furey gained extensive experience in pipeline development and global product launches. Earlier in his career, he held both commercial and operations positions of increasing scope and responsibility with Pfizer and Wyeth Pharmaceuticals. Mr. Furey has an executive M.B.A. from St. Joseph’s University, Philadelphia, a B.S. from Trinity College, Dublin, and a diploma in Environmental Health from the Dublin Institute of Technology. Giles Kerr has served as a Non-Executive Director since November 2016. He has substantial commercial and financial experience gained from service on numerous public and private company boards and as an audit partner. 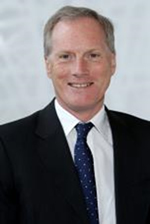 Mr. Kerr has served as Director of Finance of the University of Oxford since 2005. He also currently serves as a Board member and Audit Committee member of public companies BTG plc (LSE: BTG), Paypoint plc (LSE: PAY), Senior plc (LSE: SNR) and Arix Bioscience plc (LSE: ARIX) and on the boards of several private companies including Oxford Sciences Innovation plc and Oxford Capital Fund. Mr. Kerr previously served in roles of increasing seniority at Amersham plc since 1990, including as Chief Financial Officer and a Board member from 1997 to 2004, when the company was acquired by GE Healthcare, and as a director of Victrex plc and of Elan Corporation Inc. Prior to his role at Amersham, Mr. Kerr was a National Partner with Arthur Andersen. He is a Fellow of the Institute of Chartered Accountants of England and Wales and holds a B.A. degree in Economics from the University of York, U.K.
Dr. Elliott Sigal has served as a Non-Executive Director since February 2015 and formerly served as a Non-Executive Director of Adaptimmune Limited since September 2014. Dr. Sigal is a former Executive Vice President and member of the Board of Directors of Bristol-Myers Squibb (BMS). He joined BMS in 1997 as head of Applied Genomics, went on to head Discovery Research followed by clinical development and ultimately served as Chief Scientific Officer and President of R&D from 2004 until 2013. 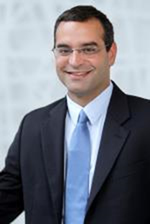 Dr. Sigal serves as a board member for Spark Therapeutics (NASDAQ: ONCE), Surface Oncology (NASDAQ: SURF) and the Melanoma Research Alliance, and previously served as a director of the Mead Johnson Nutrition Company. He also serves as a senior advisor to the healthcare team of NEA and consults for several biotechnology companies. Dr. Sigal holds an M.D. from the University of Chicago and trained in Internal Medicine and Pulmonary Medicine at the University of California, San Francisco, where he was on faculty from 1988 to 1992. He also holds a B.S., M.S., and Ph.D. in engineering from Purdue University. Dr. Peter Thompson has served as a Non-Executive Director since February 2015 and formerly served as a Non-Executive Director of Adaptimmune Limited since September 2014, initially in a capacity as a nominee of OrbiMed Private Investments V, L.P., one of our shareholders. Dr. Thompson is currently a Private Equity Partner with OrbiMed who brings over 25 years of industry experience. 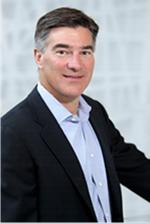 He co-founded and was Chief Executive Officer of Trubion Pharmaceuticals from 2002 to 2009 (NASDAQ: TRBN), co-founded Cleave BioSciences and Corvus Pharmaceuticals (NASDAQ: CRVS), and was previously an executive of Chiron Corporation and Becton Dickinson. 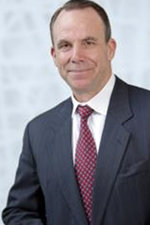 Dr. Thompson also serves as a director on several public and private company boards including Alpine Immune Sciences, Inc (NASDAQ: ALPN), Cardioxyl Pharmaceuticals, Inc., Cleave Biosciences, PMV Pharmaceuticals, Inc., Principia BioPharma, ProNai Therapeutics, Inc., Response BioMedical Corp and OxOnc Development Inc. He is an Ernst & Young Entrepreneur of the Year awardee and an Affiliate Professor of Neurosurgery at the University of Washington. He is the inventor on numerous patents, is a board-certified internist and oncologist and was on the staff at the National Cancer Institute following his internal medicine training at Yale University. Dr. Tal Zaks has served as a Non-Executive Director since November 2016. He has substantial research, development and commercialization experience gained from service in industry and academia. Dr. Zaks has served as the Chief Medical Officer of Moderna Therapeutics, Inc. since March 2015. He previously served as Senior Vice President and Head of Global Oncology at Sanofi Inc, where he was responsible for all aspects of oncology drug discovery, development and commercialization. Dr. Zaks began his industry career at GlaxoSmithKline in the genetics research group, where he built the oncology translational medicine team and led translational research on lapatinib as well as the in-licensing and clinical development of foretinib. In addition to his industry work, Dr. Zaks is an Adjunct Associate Professor of Medicine at the University of Pennsylvania and has served as a volunteer physician at the Philadelphia Veterans Administration Medical Center, treating patients with genitourinary cancers. Dr. Zaks received his M.D. and Ph.D. degrees from the Ben Gurion University in Israel and conducted post-doctoral research at the U.S. National Institutes of Health. He completed his clinical training in internal medicine at Temple University Hospital followed by a fellowship in medical oncology at the University of Pennsylvania.